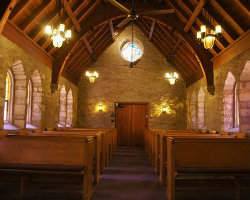 Anyone looking for the coziest and most charming wedding venues in Kansas City, MO will undoubtedly fall in love with the Pilgrim Chapel. This historic wedding chapel was originally built in 1941 as the Pilgrim Lutheran Church for the Deaf and served in this capacity for over forty years. Today, new owners have turned it into a non-denominational public chapel that is open to all faiths. Its picturesque architecture and landscape can easily provide the fairytale backdrop that every couple wants and the affordable prices make it possible for everyone to experience the wedding of their dreams. One of the top wedding venues in Kansas City, MO is the Kansas City Convention Center, with its choice of elegant ballrooms and a reception hall with dramatic views. With its unique architecture and spacious facilities, this fixture of the Kansas City skyline can out-perform many of the smaller party venues in town. 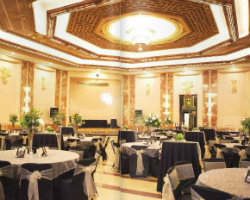 It can even be used for elaborate Quinceanera celebrations and birthday parties. The best part is that the staff at the center is experienced in arranging shows with thousands of visitors, so putting together a wedding is something they are able to do without any drama or hassles. 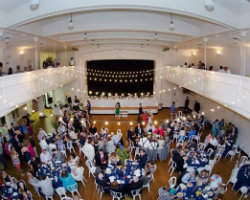 The Loretto is one of the most unexpected wedding venues in Kansas City, MO with a unique and colorful history as a former girls' boarding school that was originally built in 1903. Not many people can say that they were married in building that has been placed on the National Registry of Historic Places, but couples who book with the Loretto can do just that. With its recently updated wedding chapel and the beautifully lavish architectural details of its banquet hall, The Loretto can host both large and small wedding ceremonies and receptions for couples who are looking for a traditional wedding day that is in no way common. he Hotel Phillips is one of the most beautiful and affordable Kansas City wedding venues operating today. 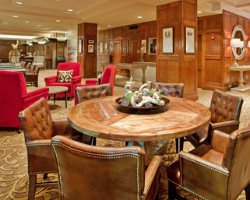 This elegant and unique hotel is conveniently located in downtown Kansas City and its nicely appointed rooms can serve as an easy and luxurious escape for you and your loved ones at the end of your big day. Featuring extravagant custom window treatments that will dazzle your wedding guests and serve as a gorgeous background for your pictures, the Hotel Phillips is a romantic and charming venue that will put other party halls to shame. 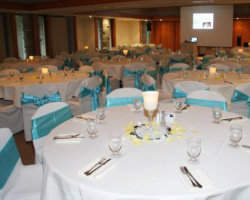 Drexel Hall is well-regarded throughout Kansas City, Missouri as one of the best party venues in town due to its beautiful and unique architecture and decor, but also thanks to the stellar service and exceptional value that every party who books with the facility receives. Unquestionably one of the most elegant and stylish Kansas City wedding venues, Drexel Hall will shine like jewel in your wedding photos and your guests will be amazed at the opulent ambiance. 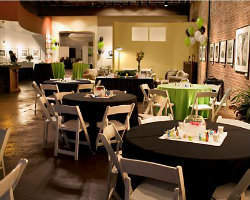 Allow the trained professionals at Drexel Hall to show you how easy and enjoyable planning an event can be. Nature loves who are searching for the most inspired and unique Kansas City wedding venues need look no further. Gorgeous Powell Gardens can make your dream of an elegant outdoor wedding a reality in a lovely garden wedding venue of your choice. Both the Vineyard and the Perennial Garden Arbor are perfect choices for a romantic afternoon or evening ceremony and reception. Your guests will enjoy strolling the grounds of the exquisite botanical gardens as you're able to relax knowing that every last detail is being managed by their experienced staff. Prices and tours are available on their website. 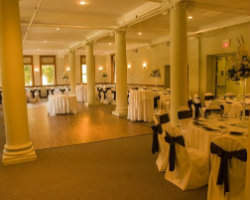 Studio 2131 offers a unique combination of an open and spacious floor plan accompanied by intimate and historic architectural details, making it one of the best party venues in Kansas City, Missouri. 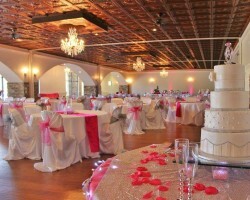 Large windows with charming views and huge walls of exposed brick provide a versatile backdrop that allows this facility to serve as a small wedding reception hall or as a banquet hall for corporate events or a Quinceanera celebration. The prices at Studio 2131 are exceptionally reasonable and the service has received rave reviews from past clients. The historic Loose Mansion has been recently renovated and it is ready to serve as one of the most romantic and sought after wedding venues in Kansas City, MO. With a dedicated staff just for planning and staging events, this beautiful site can provide a stress-free wedding experience straight out of a fairytale and their friendly service staff will help your guests in any way they can. 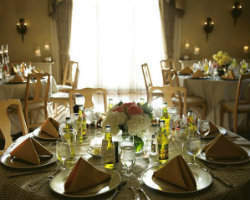 Affordable prices means that even couples on a budget can enjoy the mansion's opulent surroundings and the best service in town. The Pavilion at Logan Woods has been serving as one of the most trusted and valued wedding venues in Kansas City, MO for over twenty-five years and they continue to dedicate themselves to the satisfaction of every party that they book. This wedding and reception hall have managed to keep their prices affordable while maintaining excellent customer service and keeping the facility in beautiful condition. With the ability to seat up to 300 guests, The Pavilion at Logan Woods can make a large dream wedding a reality for any bride, even though who are planning their wedding on a tight budget.